With Kulting's gardening tool you can get rid of weeds, avoid back pain and create your dream garden! 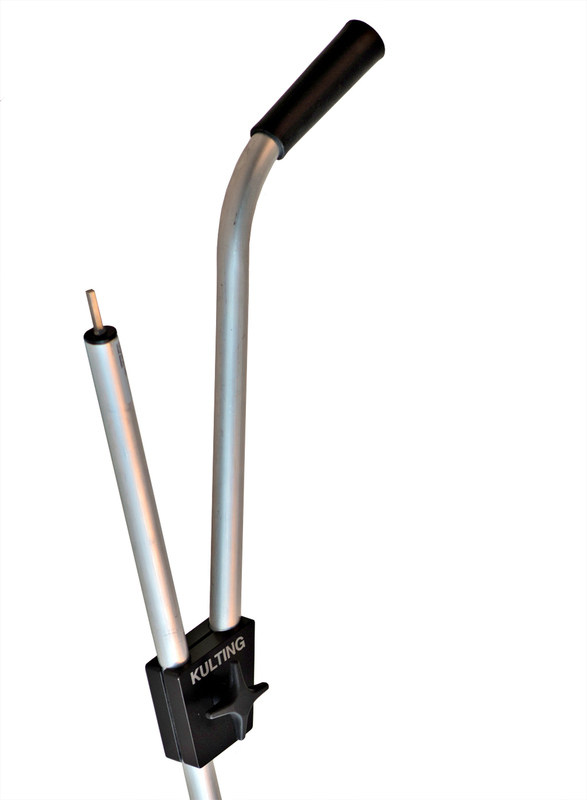 Kulting is an innovative garden tool that its suitable on a screwdriver / drill machine and fits all brands. It is ergonomic since it has an adjustable and reversible handle to suit different length and right/left handed people. Kulting is a quality product made in Sweden. The material is made of stainless steel in gear and shaft, aluminum in tube and handle bracket is made of rubber. Material: Stainless steel in gear and shaft. Aluminum in tube and handle bracket is made of rubber.